Great addition to any princess or royalty costume. 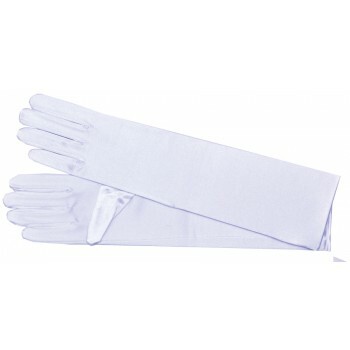 Nylon shoulder length white gloves. X-Large size fits most.